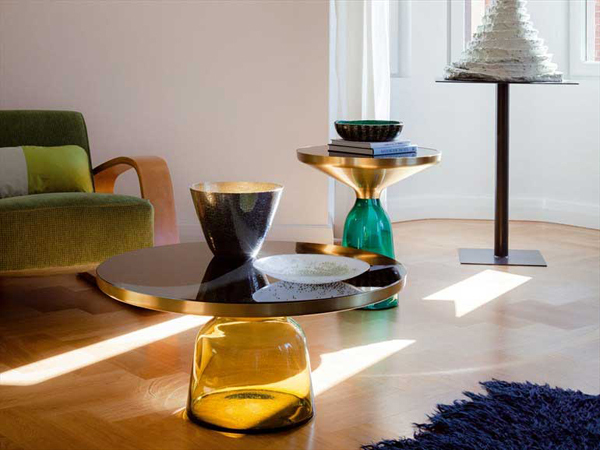 The Bell Table is a creation of Sebastian Herkner made in collaboration with ClassiCon. The is made of tinted glass base and the metal tabletop. The table comes in different colors and sizes. 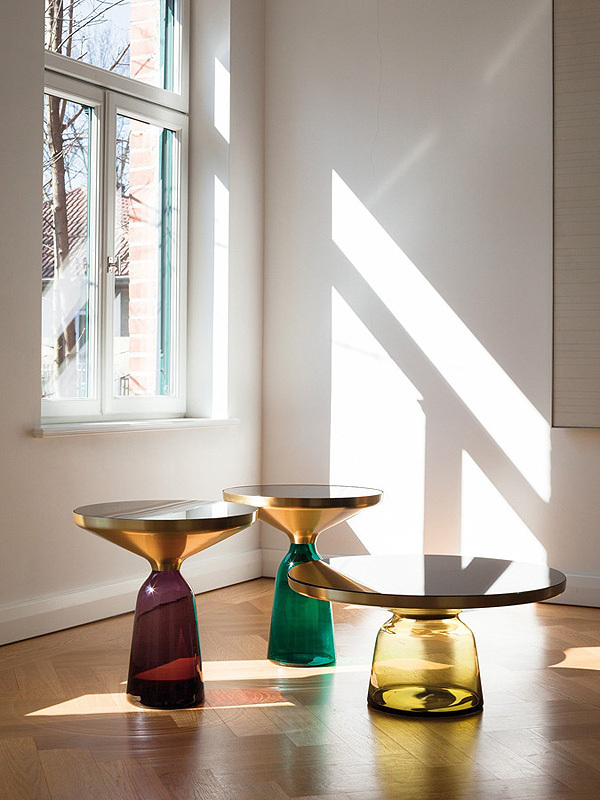 The designer plays on contrast between the transparent glass and metal which makes the Bell Table look quite unusual. The table becomes a beautiful accessory and a bright accent in the decor thanks to its colorful base. The Bell Table can be used as a side table or a coffee table depending on its size.